Forecasters at the National Hurricane Center say Tropical Storm Colin has re-formed in the Atlantic and is approaching Bermuda. The storm had devolved into an unnamed low-pressure area in recent days, but forecasters confirmed Thursday afternoon that Colin is once again a tropical storm with sustained winds of 45 mph (75 kph). The center of the storm is located about 520 miles (825 kilometers) south of Bermuda and moving northwest around 20 mph (32 kph). 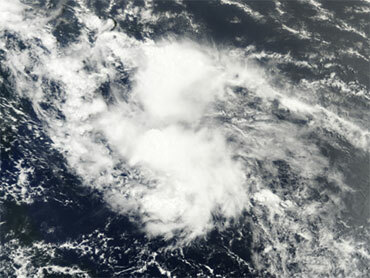 A tropical storm warning was issued for the British territory. The storm was expected to make a gradual turn to the north and it's not immediately clear whether it would affect the East coast of the United States.